In other words, for more than four years Assange has been holed up in a tiny room, policed at great cost to British taxpayers, not because of any allegations in Sweden but because the British authorities wanted him to remain there. On what possible grounds could that be, one has to wonder? Might it have something to do with his work as the head of Wikileaks, publishing information from whistleblowers that has severely embarrassed the United States and the UK? 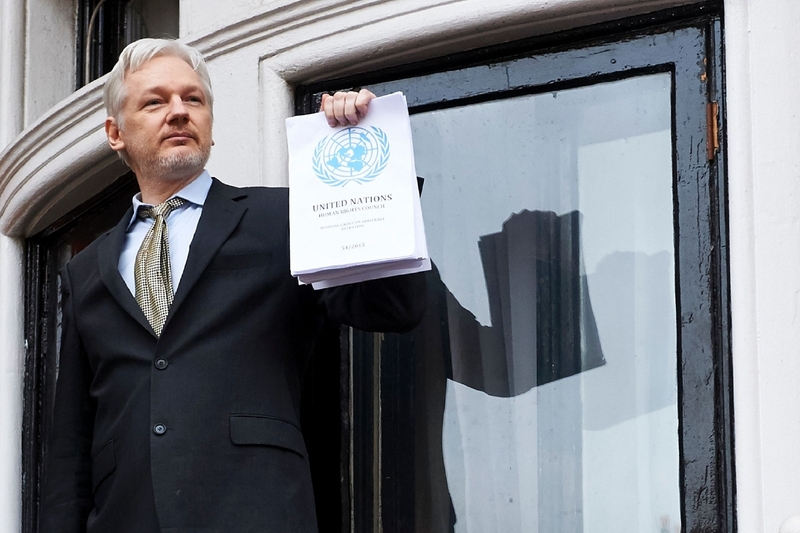 In fact, Assange should have walked free years ago if this was really about an investigation – a sham one at that – into an alleged sexual assault in Sweden. Instead, as Assange has long warned, there is a very different agenda at work: efforts to extradite him onwards to the US, where he could be locked away for good. That was why UN experts argued two years ago that he was being “arbitrarily detained” – for political crimes – not unlike the situation of dissidents we support in other parts of the world. According to a new release of emails between officials, the Swedish director of public prosecutions, Marianne Ny, wrote to Britain’s Crown Prosecution Service on 18 October 2013, warning that Swedish law would not allow the case to be continued. This was, remember, after Sweden had repeatedly failed to take up an offer from Assange to interview him at the embassy in London, as had happened in 44 other cases between Sweden and Britain. These are only fragments of the email correspondence, after most of it was destroyed by the CPS against its own protocols. The deletions appear to have been carried out to avoid releasing the electronic files to a tribunal hearing a freedom of information request.